Moo 4 31/1/1,Klong Prao, 23170 Koh Chang, Thailand. 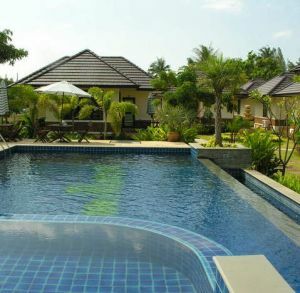 Noren Resort is situated on the beach of Klong Prao. It was built 2008. It enjoys a very panomic view of the mountains. Facilities of this hotel include resturant, bar and secure safety box, mini bar, air conditioning, on suite bathroom & shower in every room. The resort also has a swimming pool & jacuzzi with seperate baby pool. Full package services are available. Restaurant with thai & Western and italian food. Noren Resort is located on Koh Chang in Klong Prao 1 km to Kai Bae 4 km to Lonely Beach 12 km to Bang Bao 4 km to Chai Chet 7 km to White Sand Beach and 16 km to the ferry in Klong Prao you have walking distance to Beach Restaurants Supermarkets Doctor Optician Dentist Bakery ATM machines and Bank and much more.